Religious Beads There are 16 products. 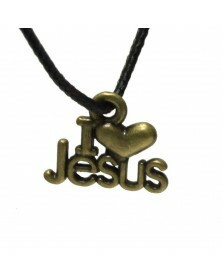 Antique Bronze Hanging "I Love Jesus" Charm. Fits Micro and Nano Cord only. 1.8mm hole Please note price shown is for a single Bead/Charm. 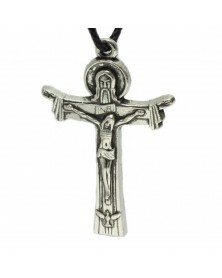 Metal Antique Silver Jesus Fisher of Men Charm. Fits Nano and Micro Cord. 1.5mm hole Please note price shown is for a single Bead/Charm. 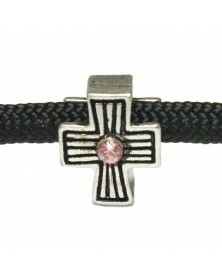 Silver metal cross with a southwestern look. The cross is a very traditional Christian symbol. Fits 550 paracord. 4.5mm hole Please note price shown is for a single Bead/Charm. 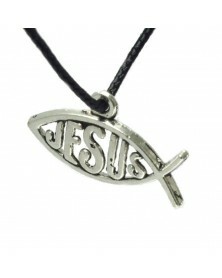 Antique Silver metal "I Love Jesus" Charm. Fits Nano and Micro cord only. 1.8mm hole Please note price shown is for a single Bead/Charm. Dangling Antique/Silver metal Faith Fish. Traditional Christian symbol. Fits Nano and Micro Cord easily while 275 Paracord takes some effort. 2.5mm hole Please note price shown is for a single Bead/Charm. Antiqued/Silver Cross on Shield. A familiar Christian Symbol. Fits 550 Paracord. Please note price shown is for a single bead/Charm. Metal Antiqued double sided Cross with Pink Jewel. The Cross is a traditional Christian symbol. Fits 550 Paracord. 4.7mm hole Please note price shown is for a single Bead/Charm. Two-hole Ichthys (cross and fish) curved tag/Charm for bracelets and other paracord projects. A familar Christian symbol. Measures 1 3/8” x 5/8” (36x17mm). Antique bronze color. Lightweight zinc alloy. Please note price shown is for a single Bead/Charm.